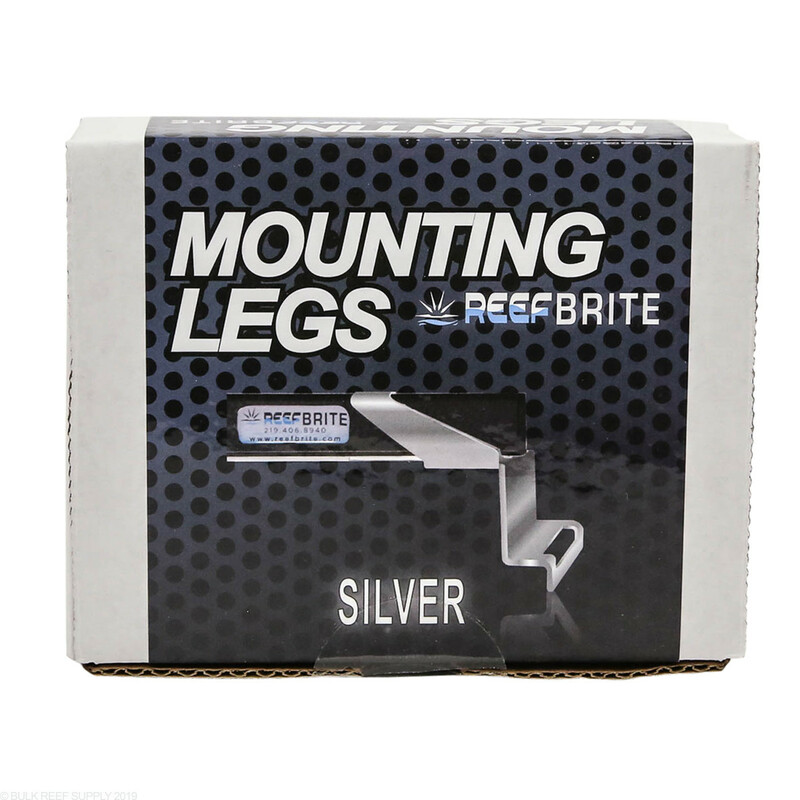 Silver LED Mounting Legs for Reef Brite XHO and Tech LED lights. 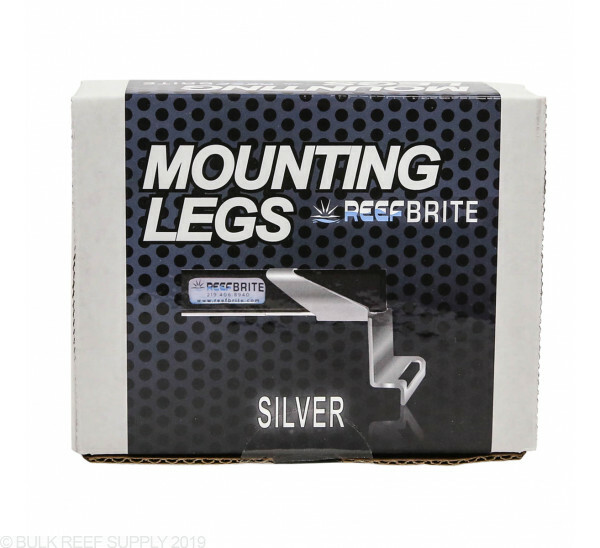 Reef Brite mounting legs lift the light approx 1.25" off the mounting ledge. 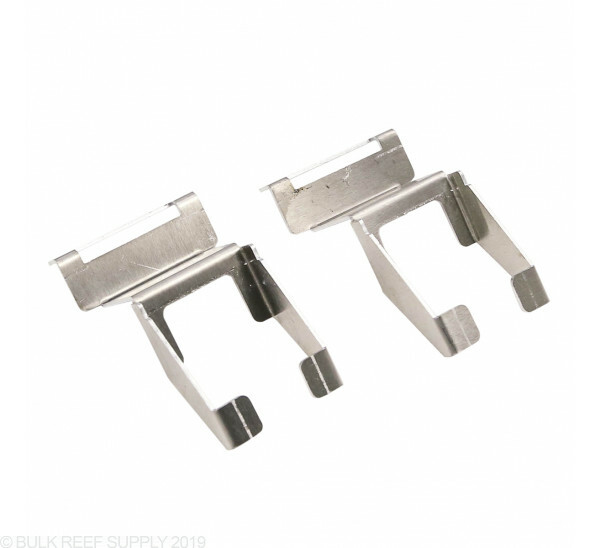 Mount your Reef Brite Tech or XHO lights on the top of your tank with the mounting legs that are specifically designed to securely hold your light to the top of your aquariums rim. Each leg will slide onto the light, allowing your lights to perfectly fit the tanks overall width. Note: We suggest using velcro or double sided tape to ensure the light legs do not move if nudged or bumped. 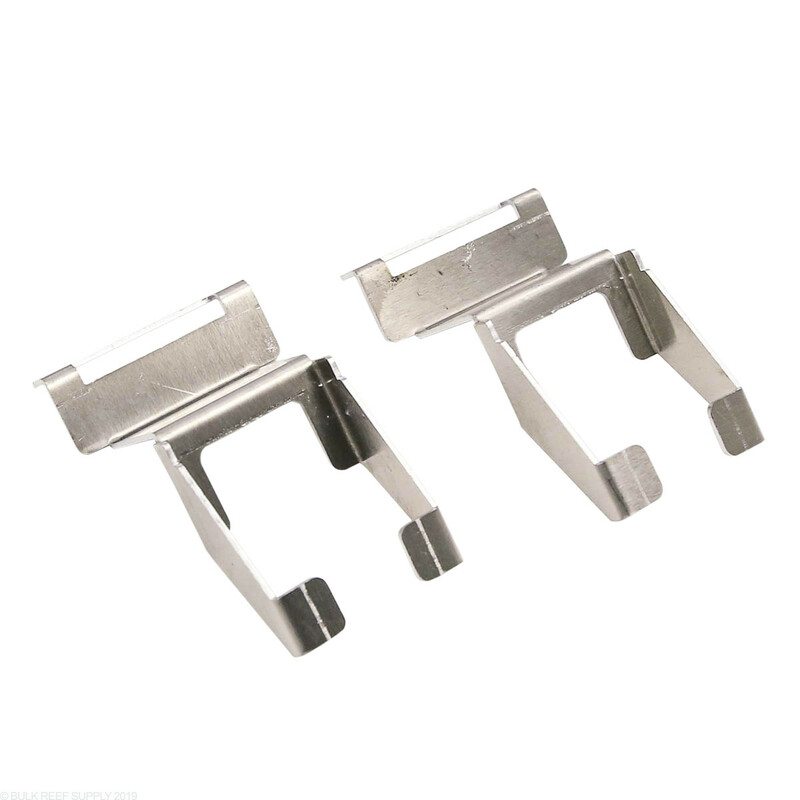 Will these mounts fit on a regular reef ready 180 gallon tank? I was looking at the 72" 50/50 light for a FOWLR tank. Also, what is the degree of the lenses (120°, 90°)? The Current USA mount does not fit rimmed tanks this large. I wanted to make sure this will, and prefer a 120° light. The Reef Brite LEDs do not use an optic or lens on their LEDs. They are bare LEDs that provide excellent coverage. The Legs will work with a tank up to 72" long, the rim thickness does not matter.